The Oakland County Medical Control Authority (OCMCA) is one of 61 medical control authority’s (MCA) in the state of Michigan. The OCMCA serves as the medical control authority for the Oakland County emergency medical services system, as designated by the Michigan Department of Community Health, pursuant to Public Act 368 of 1978, as amended. 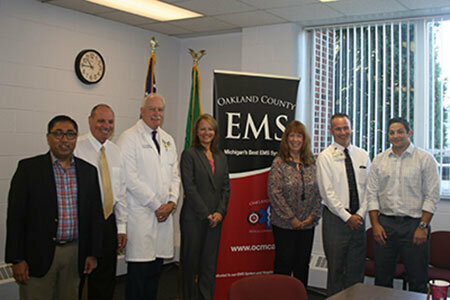 The leadership of the Oakland County Medical Control Authority consists of the Executive Committee, including the President, Vice President, Secretary, Treasurer, EMS Medical Director, Deputy Medical Director, Medical Control Committee Chair and the Executive Director.